Priced reduced $55,000, Seller Financing available! 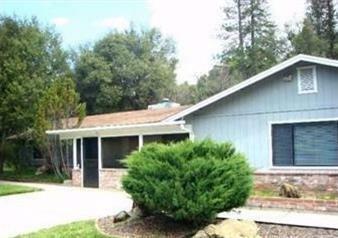 Great location near town of Oakhurst. Features TWO HOMES privately located on 3.12 acres with nice views. The main home is 1968 sq.ft. with 3 bedrooms 2 master suites, and a bonus room that could be used as a bedroom. 3 full bath. New roof on main home. The second home is a 1410 sq. ft.2 bedroom 2 bath manufactured home on a permanent foundation. New carpet and vinyl throughout. Covered carport and nicely landscaped front and back yards. A great income opportunity, live in one and rent the other.